One of the leading causes of death for newly acquired saltwater (and freshwater) fish and invertebrates is shock caused by abrupt changes in their environment, specifically salinity levels, water chemistry, and temperature. If a bit of time and effort are invested by properly acclimating the new arrivals to their new environment undue stress and fatalities can be avoided. Abrupt and extreme changes in salinity, water temperature and/or water chemistry all cause a certain amount of stress which can literally shock the fish or invertebrate to death. If all three of these factors are drastically changed at the same time it can lead to a potential disaster. The drip line or trickle acclimating method is a safe and gentle way to introduce saltwater fish into a new home and is a fairly simple one to perform. Once the drip line is started and the flow rate is set, it pretty much takes care of itself. This procedure can be used to acclimate all types of marine as well as freshwater fish and invertebrates. Once you have your drip line method equipment set up, the next time you need to acclimate new fish or invertebrates you will be able to do it in about a minute or so. 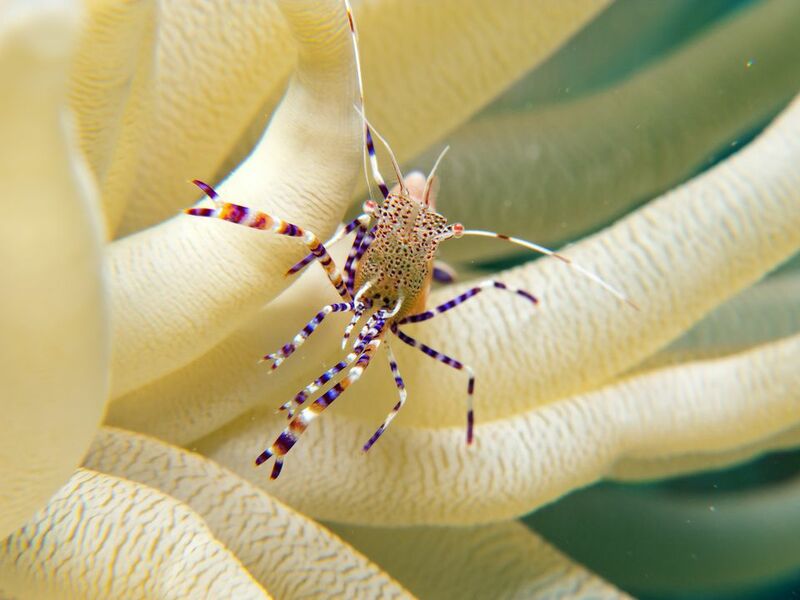 Livestock that needs a long acclimation period, such as marine shrimps, which are very susceptible to pH shock, can easily be acclimated over long periods of time, even overnight. This method can take some time to complete, often up to two hours, depending on the size of the acclimation container being used. Setting up is a little more involved than with other acclimation methods. If you are acclimating more than one fish, this means you have to either use a separate acclimation container for each one or put them all together in the same one. If you combine the fish, they may fight and injure each other even before you can get them into your aquarium, especially if they are of the same or similar species. Moving too fast and not allowing adequate time for proper acclimation. Put the fish with all the bag water in a bucket or container of sufficient size for the fish to be reasonably covered with the water. Place an air stone in the bucket or container and supply it with air from an air pump. Set the bucket on the floor next to the aquarium you will be placing the fish into when done. Using some plastic air line tubing and an air value, set up and run a siphon drip line from the aquarium you will be placing the fish into, to the bucket. Start the siphon and slowly allow the tank water to drip into the bucket, using the air valve to adjust the drip rate. When the water dripped into the bucket equals about two to three times the volume of the bag water you started with. If you want you can test the pH, salinity, and temperature of the bag water to see if these parameters match that of your tank water at this point to check if acclimation is complete. Gently remove the fish and place it into the same tank the drip in water source came from. It doesn't hurt to add an ammonia buffer or destroyer such as AmQuel to the bag water in the bucket with the fish in it prior to starting the procedure, as ammonia build up may still occur while the fish is kept here, no matter how long completion of acclimation takes. You don't want to set the water drip in rate too fast, nor too slow. In most situations, one drop per second will be about right. If you are acclimating several fishes ​at one time and any are of a toxic releasing or poisonous stinging nature (i.e. Volitans Lionfish), it is best to acclimate such species individually in a container of their own!